When we were first married, I made Dutch Babies quite often. I had a recipe from a little holiday book (which I now cannot find), but remember making them and feeling like a bona fide married person. 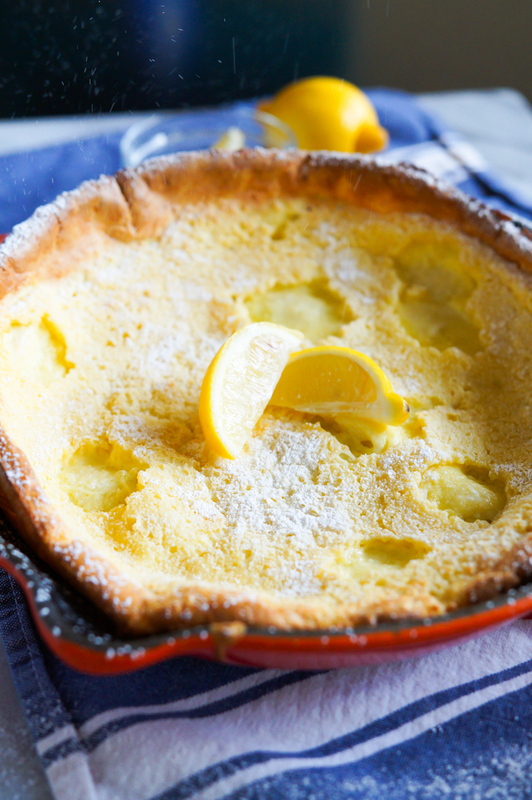 A Dutch Baby, or German pancake, is a big, one-skillet pancake. It poofs in the oven, then deflates to a silky, eggy, beautiful pancake with crispy edges. 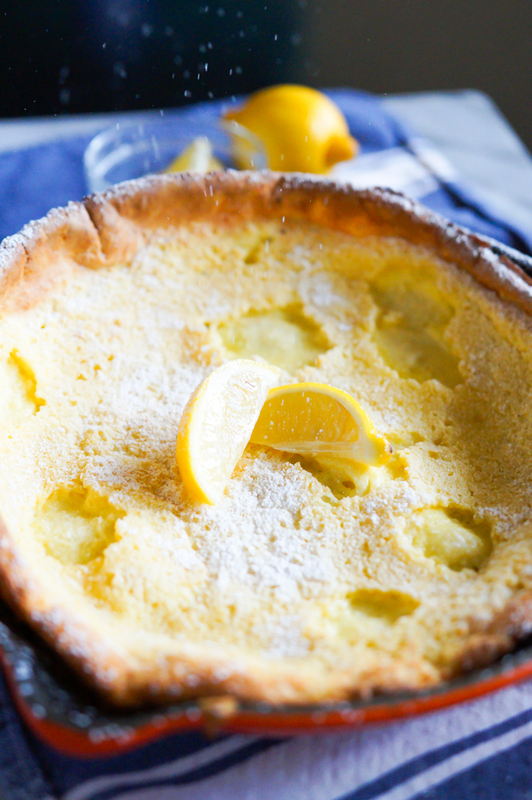 Dutch Babies are typically served with powdered sugar and lemon. The first Dutch Baby I'd ever eaten was from this breakfast place in Dallas about 20 years ago. They served a gorgeous Dutch Baby (now I want to hop in my car and drive to Dallas), and it was presented with powdered sugar and lemon. The lemon always threw me and I don't think I ever used it at the restaurant. I thought lemon was for fish only. Ha. Don't skip the lemon! 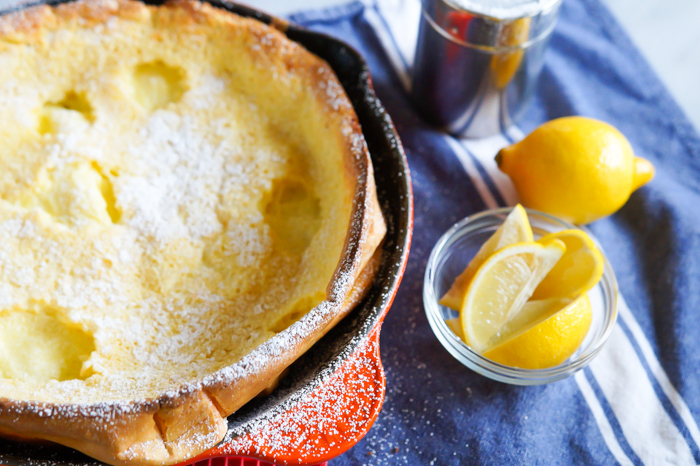 The lemon brightens the eggy pancake while combining perfectly with the powdered sugar. It's dreamy. While we're on the subject of powdered sugar, here's your opportunity to use a heavy hand when sprinkling. Go for it. 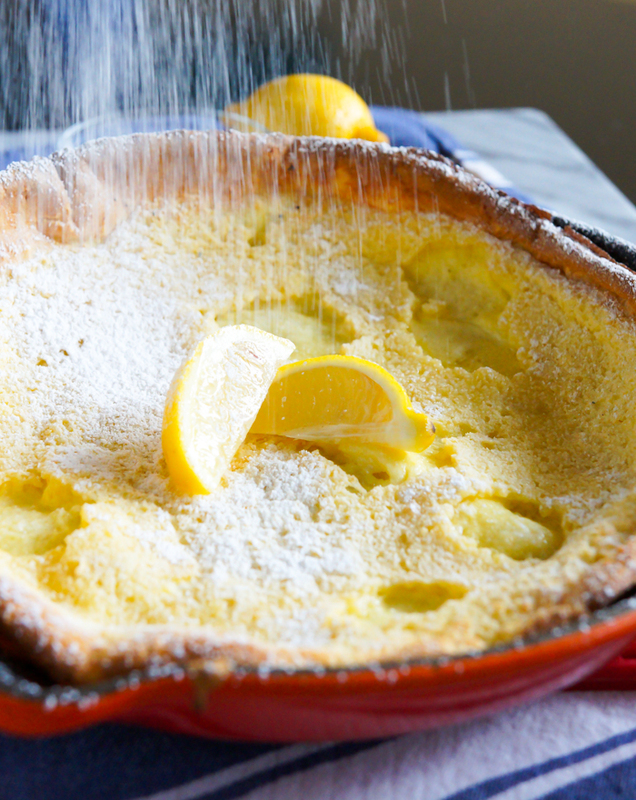 Dutch Babies call for a cloud of powdered sugar. Oh! And those little divots you see in the top...you might not see them in all Dutch Babies. Those divots are extra butter. Yep. Pockets of butter. Have I sold you on making a Dutch Baby, yet? I've sold myself on making one for lunch today. I'm sharing the recipe over on Imperial Sugar. Great sifting pics too Bridget! This looks so yummy. I've always been afraid to make them, though. I made one with a recipe that called for a syrup made with clementines. YUM! I wonder if the restaurant was the Original Pancake House? There are several in Dallas and a couple in Austin, but alas none in the Houston area (I'm in Sugar Land). I grew up near one in Michigan and they also have a delicious apple pancake that is to die for. 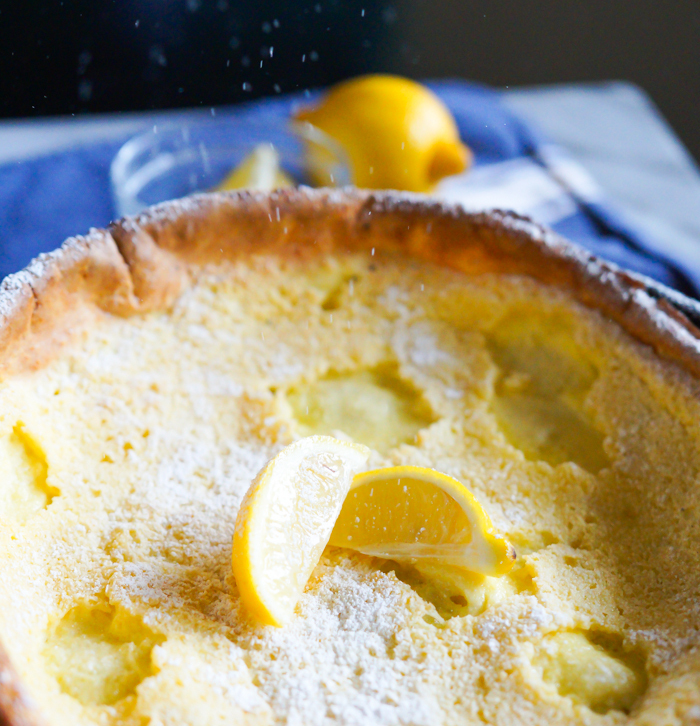 Your Dutch Baby looks yummy. I love making these! I sautee up apple slices with cinnamon and maple syrup for ours. <3 So much yum! Smitten Kitchen just posted a beautiful recipe for a chocolate Dutch baby! Great minds, I suppose. Both look delicious and now I have to make both.